Our Divas thank you so much. Arlene wonders if there is any better way to end a month than with a glass of wine. Just saying. You can see Arlene's comments on this card at A Bit of This and That. 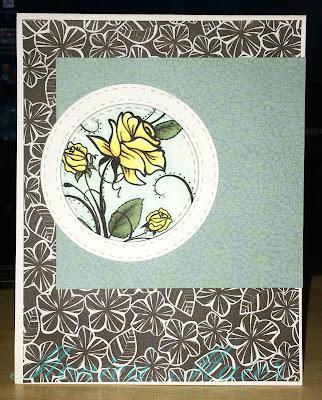 You can see more information on this card at Just A Nutter Paper Crafter. Hi there. Another spring card using Bugaboo digital image and a circle die. There are plenty awesome dies at DiesRUs for you to use. I coloured the image with colouring pencils, and smooth with a bit of solvent. 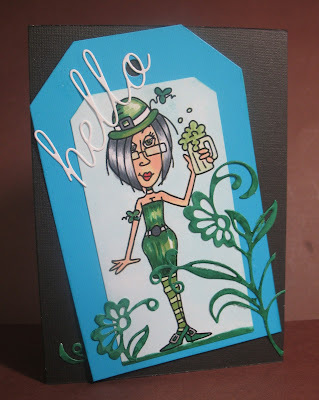 I prop it up on an easel card base covered with pattern paper. 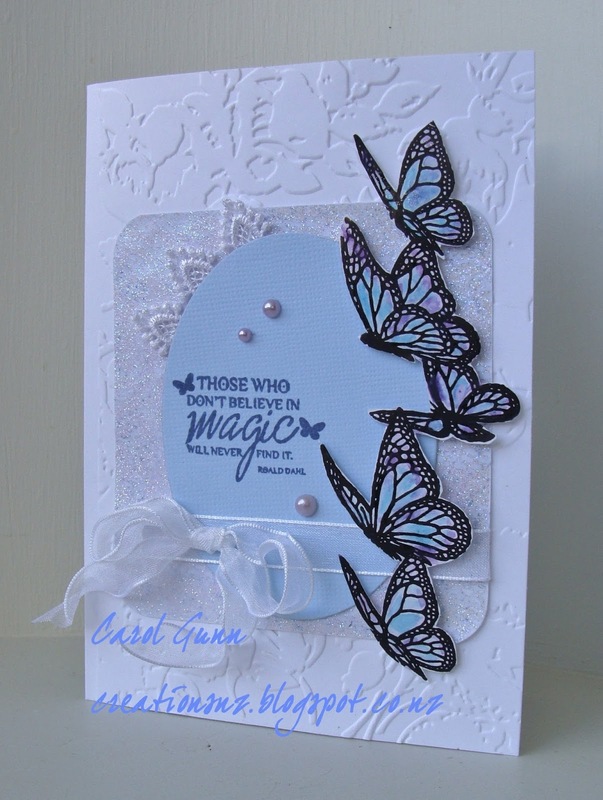 Embellished with butterflies that's been die cut from Sookwang on white CS, then adhered with glitter. Cathie here with another card showing you some great products from our fantastic sponsors this month. This is one of Bugaboo's gorgeous Edward the Elephant range, he is soo cute and you can adapt him for so many different cards. 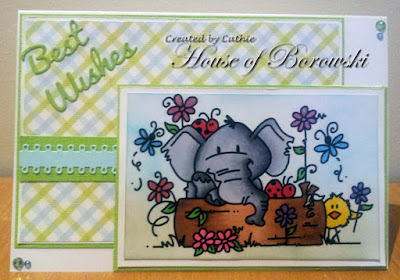 DiesRUs our other sponsor this month have a fantastic range of sentiment and accent dies like the Cheryl Lynn Alison Ribbon, which I have used today. 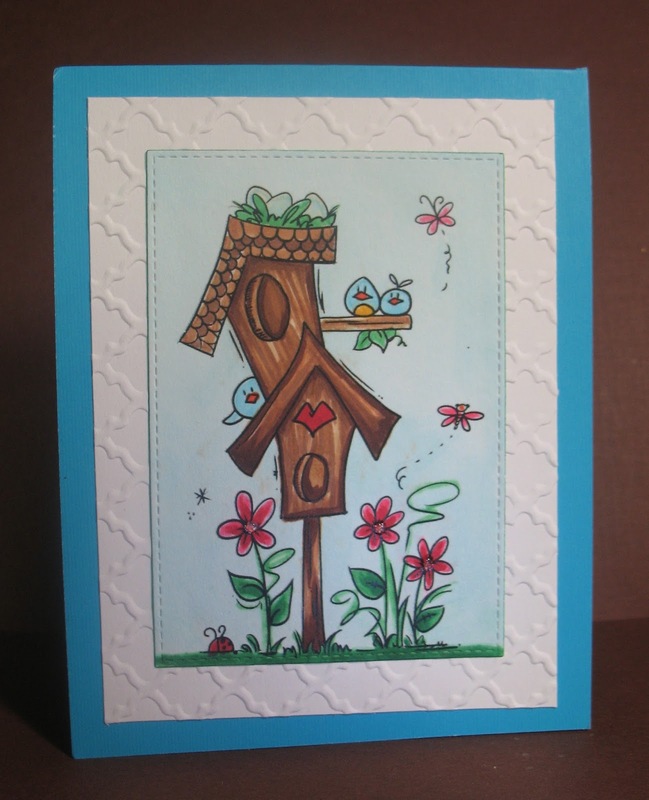 Our theme is SOMETHING SPRING and our sponsors for March are Dies R Us and Bugaboo Digi Stamps . Come and join us - there's still time! 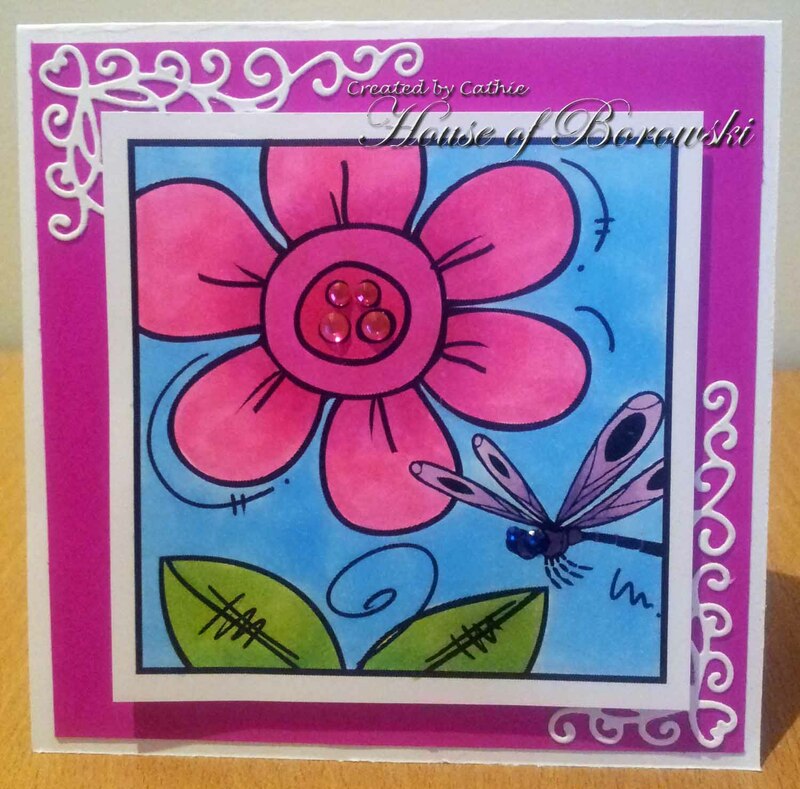 Monica here today with a card for out something Spring challenge. 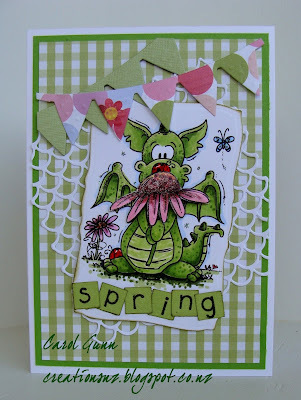 Today I'm using this adorable dragon Clyde from Bugaboo stamps. 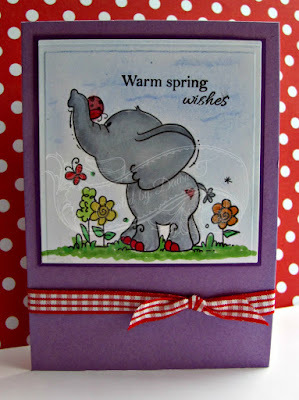 To see more info check out my post here and to link up to join us in our something spring challenge here. Image: Spring Boot by Bugaboo Stamps, colored with Copics. 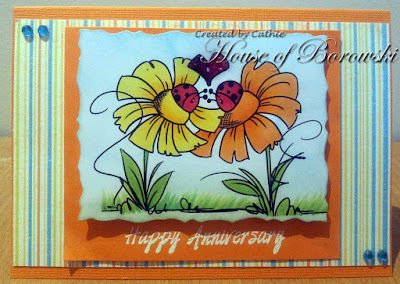 Dies: Sentiment is from Lawn Fawn, My Favorite Things stitched rectangle (or try these Memory Box rectangles), Spellbinders Edgeabilities Classic Triple Scallop and flower insert (Or this Taylored Expression Flower Border). 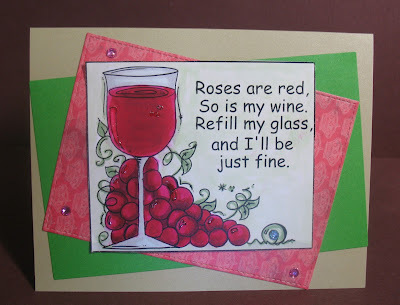 For more information, come visit me at Just A Nutter Paper Crafter. Make a project and be eligible to win some great prizes. I coloured the image with colouring pencils, and added die cut leaves and art flowers for a little 3D effects. To add a little more interest, I added white dots on tip of leaves and on bird's tail, wing tip and top of eye. Nothing says spring more then bright and bold flowers. 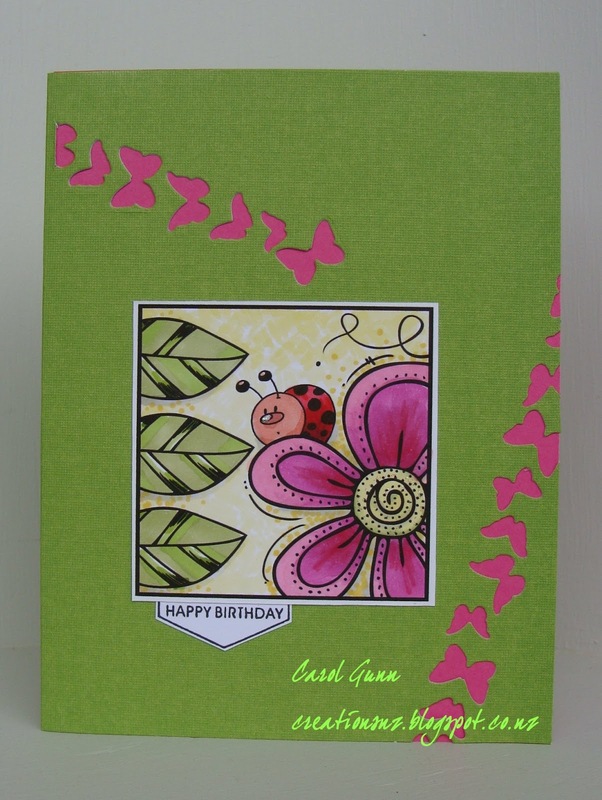 Cathie here with a lovely bright card utilizing this gorgeous Bugaboo image. 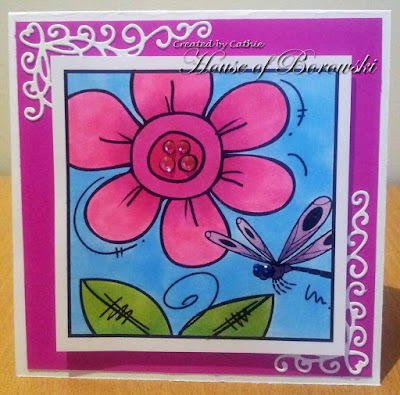 Bugaboo Mini Set Spring Flower Blocks. 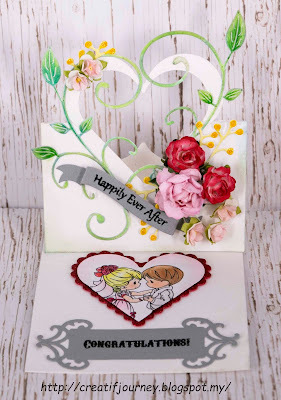 Creative Expressions Charming Hearts Corner Die. 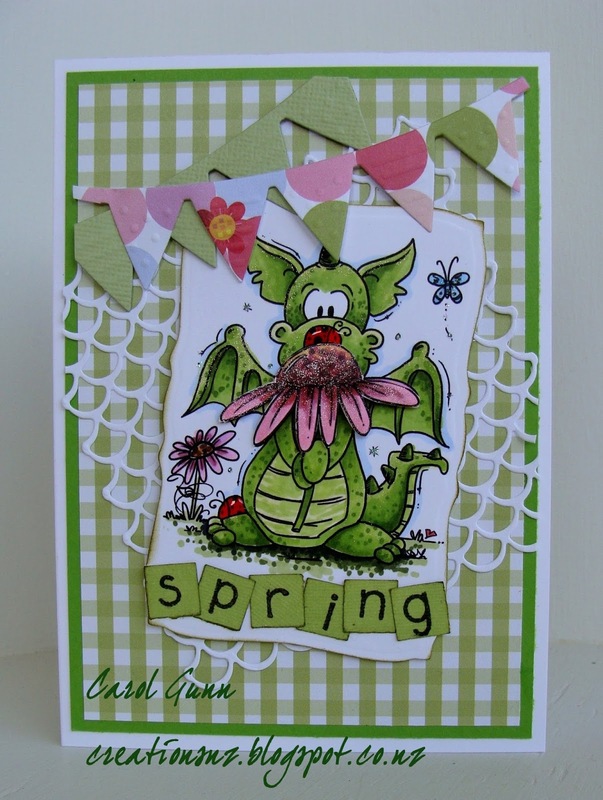 A cute bug, flowers and leaves, a bit of colour, a flight of butterflies and you have SPRING! You will have your own thoughts of what spring means to you, so share it with us! 1. Bugaboo currently has an Easter sale on ! Discounts are applied at checkout and there are no limits! A Great time to get all of your Easter images you love cheap! 2. I will be gone from March 18th through April 8th. I am moving and taking a much needed retreat. The store WILL remain open, but I will not be able to answer any emails until I return as I will not have internet. &! 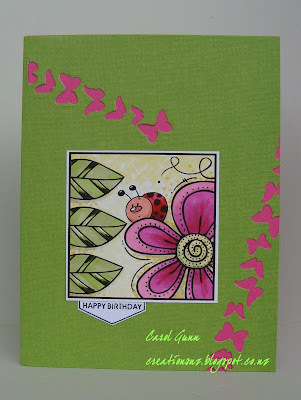 nbsp; Friday Freebies WILL be posted at Catch the Bug Blog for you. There will be no New Releases until I return, however you may find some teasers and surprises at the Blog until I'm back! Also when I get back I will be revamping Bugaboo, adding new things and new product lines. You may have noticed the new home page, which holds all announcements and important information. I have also added Stripe...another payment gateway in addition to paypal. Have a wonderful weekend and a Lovely Easter! Be sure to check out our Daily Deals as well on the homepage ! It changes every day! I've combined Dies R Us and Bugaboo Digi Stamps to create a card to celebrate St. Patty's Day coming up on the 17th. 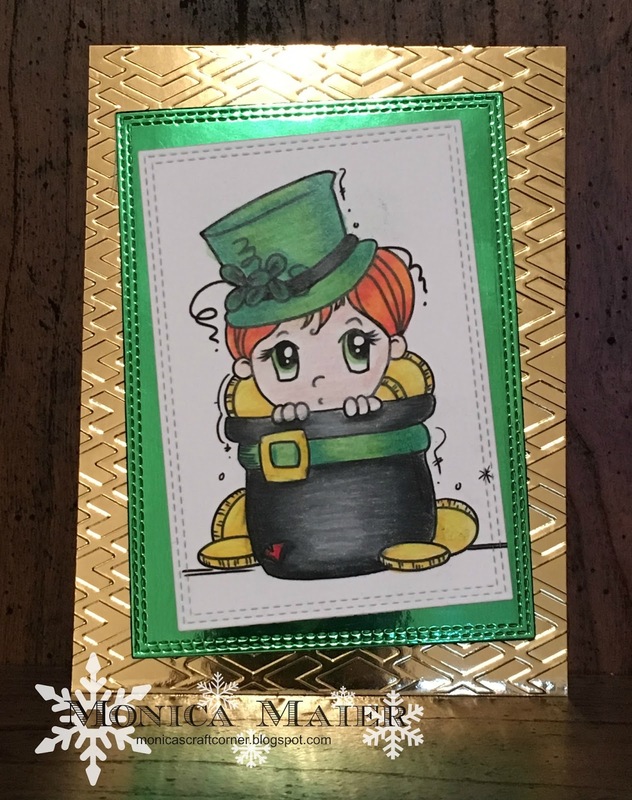 My sample card for the challenge this month was a fun one. I thought a little green beer wouldn't hurt anything. I made this image a modern take using the cool grays instead of warming her up. I think she's already warmed up with that beer. A close-up of this darling below. Memory Box Hello Script, but you could use the Poppy Stamps Fancy hello as well. Monica here today with my first card for our Something Spring challenge! I started with a St.Pats card since it's next week I used this image from our sponsor Bugaboo stamps! Fill free to stop by my blog for more details on this card. There are already so many fantastic projects that have been linked up, can't wait to see what all you have to share with us! Hi there. One of our team, Rebecca, has stepped down but we are now happy to welcome our latest member of the team. Here's a little about her. "I am a silver haired wife, mother of four, and nonna of eight, living in Hamilton, New Zealand. I have been a crafter ever since I can remember; with my grandmothers and mother being crafters what chance did I have really? 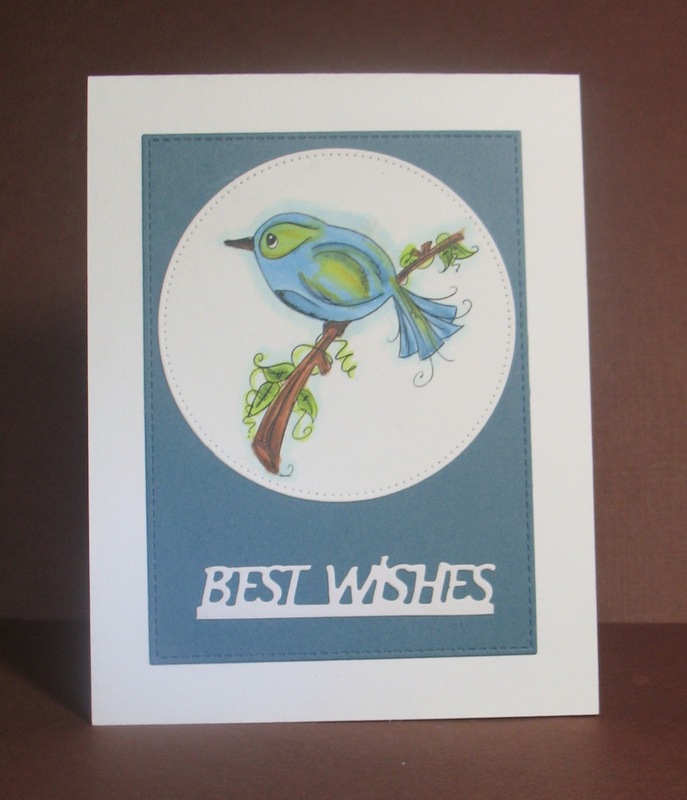 I love working with paper and fabric, so on my blog you will see both aspects of my work. I don't seem to have a specific style (too easily distracted) and like to have a go if something takes my fancy. I hope you will enjoy the variety, and maybe be inspired to try something for yourself." 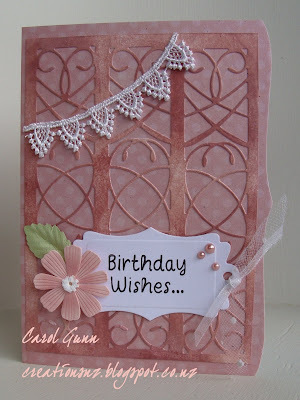 You can visit Carol at her blog Carol G... CreationsNZ. 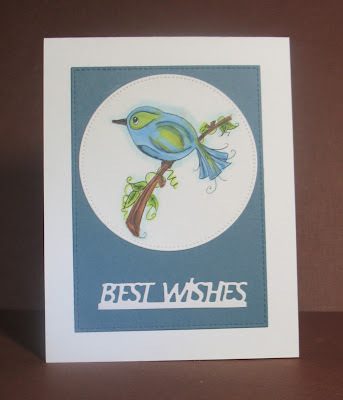 There is lots of amazing interesting projects and, as Carol told me, she loves to make at least one card a day, so there is lots to see. Please give her a warm welcome. Dies used: Labels 15 by Spellbinders (But this die by Bo-Bunny would work just as well), Fancy Labels Two by Spellbinders, Bugaboo Image Rose Tag. 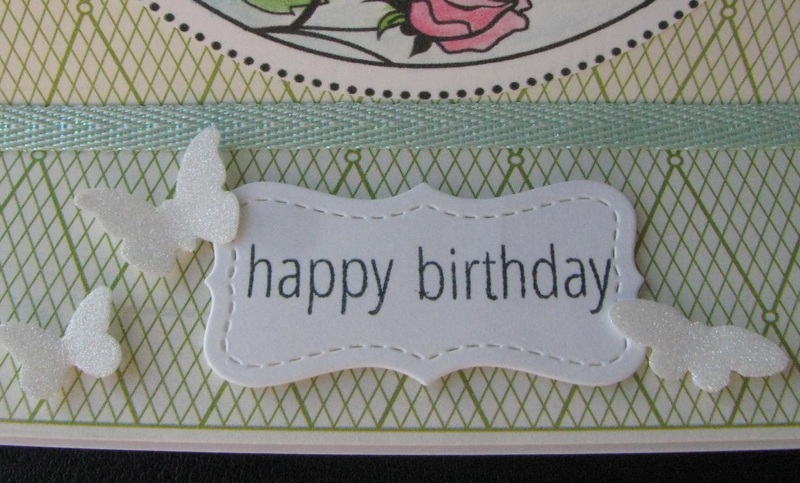 For more information on the materials used, please visit me at Just A Nutter Paper Crafter. Are birds who live in lopsided bird houses, lop-sided? They look pretty upright to me, the birds, not the houses. 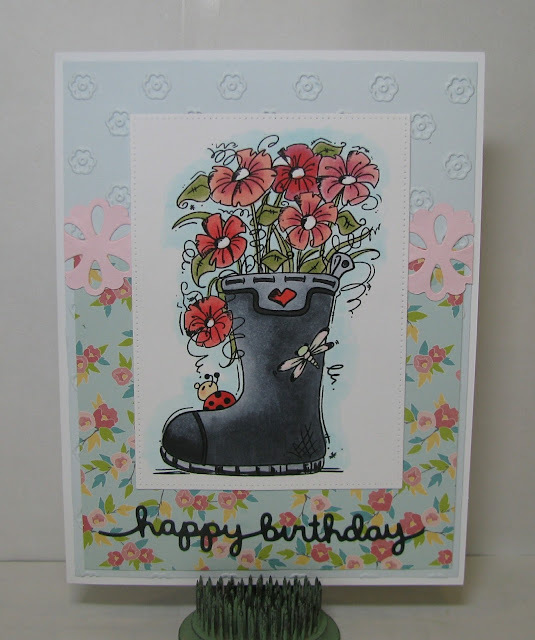 Here's a springtime card for everyone. I couldn't hlep but smile as I colored these wonky birdhouses. I sure thought this image reminded me of spring days and flowers blooming. Have fun with the new challenge. I have. You can find me at A Bit of This and That. A big Thank you to Hero Arts, Our February Sponsor. Jennifer, please contact us at thedcdivas@gmail.com. I love this beautiful card from Lin. The colours are so pretty and the roses on the heart are such a gorgeous touch. This super cute CAS design just make me smile. 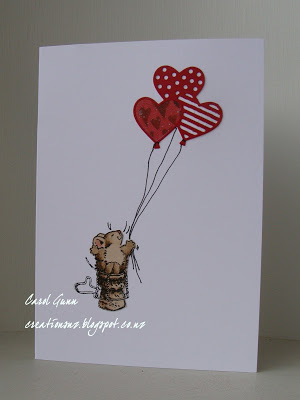 I love the heart shape balloons and the hand drawn strings are perfect done. 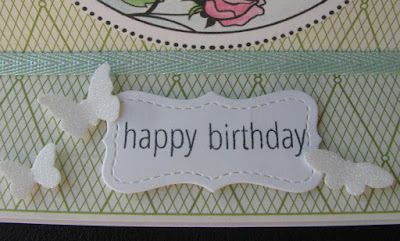 I adore the ombre watercolor behind the die cut Sentiment and how she popped the panel up for more dimension! Love it!!! I found Karen's card so cute. This is a purrrfect example of cat love. 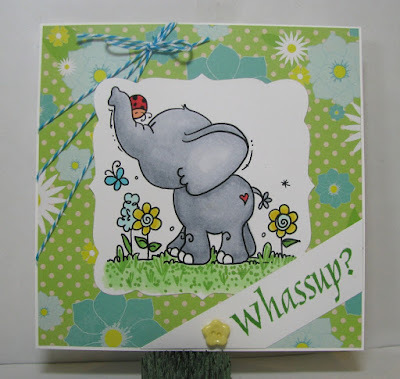 I just loved how the easel card had such dimension and framed the cute image perfectly! To get us started, some Divas have been working hard. 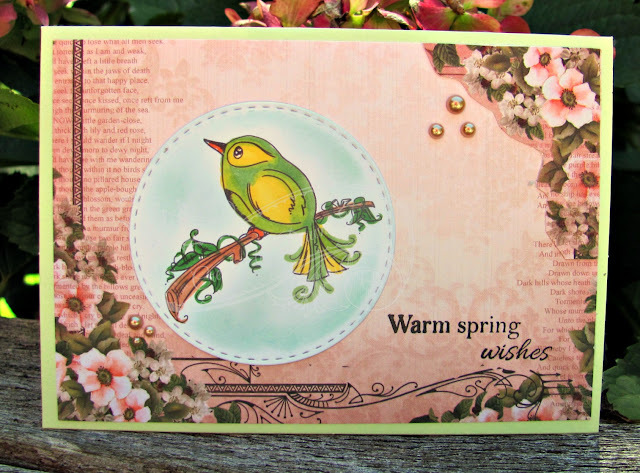 Arlene opens the month with a card for spring. Very simple, but springy. 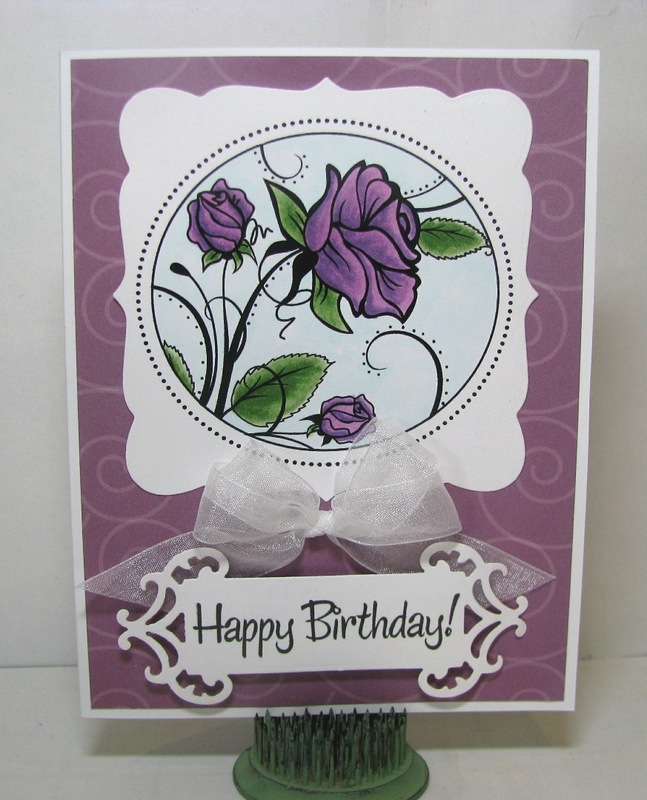 Michelle used spring colors for her card, with an adorable image! 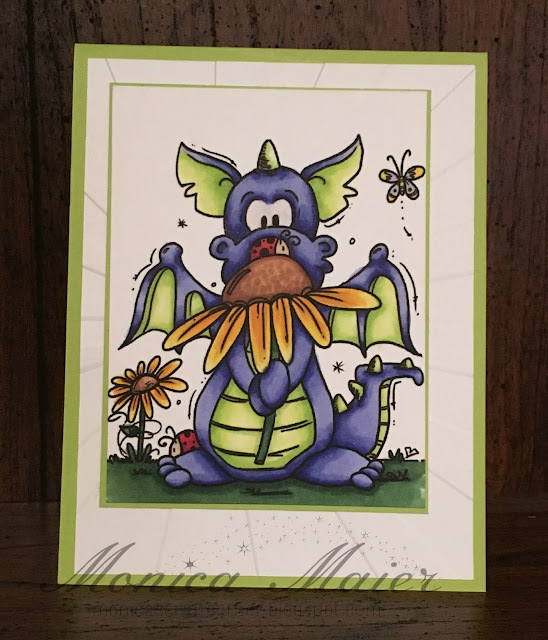 Michelle's card can be found at Just A Nutter Paper Crafter.